HARRISBURG – The House today passed a state budget that spends more state dollars for the state’s Basic Education Funding appropriation than ever before, Majority Leader Mike Turzai (R-Allegheny County) announced. The House budget for the 2011-2012 fiscal year spends $27.3 billion and has no tax increases. It represents a 3 percent reduction in spending compared to the current budget, which was supplemented by nearly $3 billion in federal stimulus dollars. The House budget restores more than a half-billion dollars to basic and higher education which was reduced in Gov. Tom Corbett’s budget plan. The state budget had to deal with the loss of the following federal stimulus dollars: welfare, $1.7 billion; education, $1.1 billion; and corrections, $180 million. Under the House budget, K-12 education would receive a $210 million net funding increase when compared to the governor’s budget. The proposal would allot $100 million for the highly successful Accountability Block Grant program that provides school districts with flexible funding often used for pre-kindergarten, full-day kindergarten, and tutoring programs. The House budget also gives an historic investment of state dollars to the Basic Education Funding (BEF) line item, as it redirects an additional $100 million back into the fund. BEF is the primary funding stream for all 500 school districts in Pennsylvania. The House budget also restores substantial funding for higher education – an additional $387 million. The 14 state-owned universities that make up the State System of Higher Education will have $195.2 million more funding than Corbett proposed – 85 percent of the current year’s funding levels. State-related universities (Penn State, Temple, University of Pittsburgh and Lincoln University) will receive an additional $184 million, which is75 percent of the current year’s funding levels. The Department of Public Welfare (DPW) will receive $10.7 billion, or 40 percent of the General Fund budget, representing an increase of $136 million over the current year’s budget. The current budget (2010-2011) includes $1.7 billion in federal stimulus funds making adjustments clearly necessary. The House budget invests $4.2 billion for medical assistance benefits, $1.3 billion for programs serving children and $2.1 billion for mental health and mental retardation services. The House budget identifies savings within DPW by instituting co-pays for transportation programs and adjusting child care program co-payments, increased use of generic drugs, and the implementation of new welfare reform legislation that will reduce fraud and abuse in medical assistance programs. Projected growth estimates in some DPW programs were also revaluated and adjusted. All general administrative department lines were initially reduced by 10 percent to more equitably distribute the fiscal impact caused by the loss of federal stimulus dollars. The House budget also eliminates unfilled vacancies across all departments. The Legislature’s allocation is reduced by $15.3 million, or 5.1 percent over the current budget. WASHINGTON, DC— U.S. Senator Bob Casey (D-PA) today called on the Chairmen of the Senate Committee and Subcommittee overseeing drug crime to “act quickly” to pass legislation addressing the abuse of prescription drugs and the link between prescription drugs and heroin abuse. 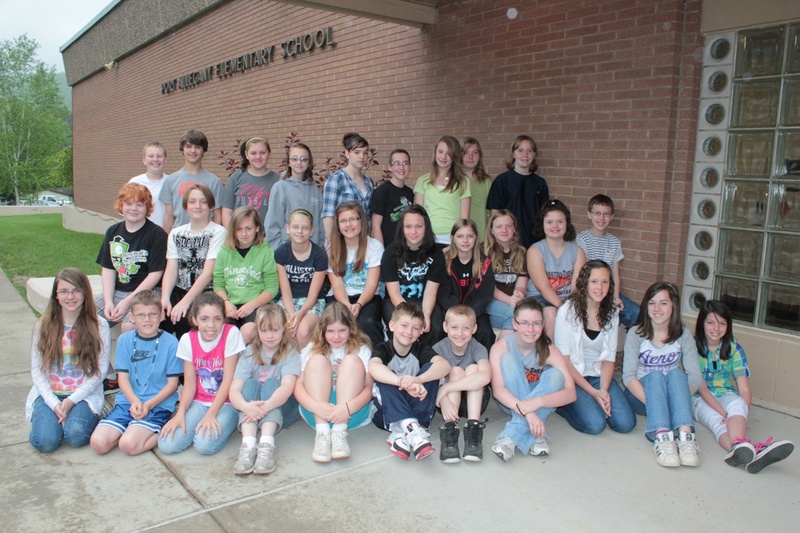 The general fund budget for 2011-12 is on track for adoption at the June 13 board meeting, superintendent Tony Flint reported to the Port Allegany School Board Monday night at its committee-of-the-whole meeting. He predicted that it will be in much the same form as the proposed budget approved by the board earlier this month. Definitive word on possible extra funding from the state will not be available before June 13, Flint said, in answer to a question from board member Ed Babcock. The state legislature is expected to make some changes before June 30, its deadline and the school district’s deadline for adopting their budgets for the coming fiscal year. But the school board will have acted on its new budget before then, according to present plans. If the legislature does restore some of the public education funding Governor Tom Corbett’s budget did not provide, the board could re-open the 2011-12 budget if it had been adopted in its present form. The proposed budget calls for spending $13,266,648, some $2,000 more than the current year’s total appropriations. Flint reviewed recent projections from Harrisburg, including possible increases in accountability allocations and in basic education. Business manager Judy Bodamer confirmed that if necessary to close a deficit, the administration could find about $60,000 in “savings.” Flint indicated that this could come from deferred purchases. Another source of funds, to enable the budget to be balanced without a millage increase or program cuts, would be using about $200,000 from $1.6 million accumulated by annual amounts set aside to build a retirement fund cushion. also, department chairs for social studies, George Riley; science, Wallace Finn; English, Matthew Lawton; and mathematics, LaBella. Supplemental salaries are pegged to Schedule B in the professional agreement which is being negotiated. The auditing firm of Buffamante Whipple & Buttafaro was re-appointed independent auditor for the district, to perform all necessary federal, state and local audits for the 2010-11 fiscal year. Their “not to exceed” fee was set at $16,300, a 2.9 percent increase from the previous contract. Bodamer said the firm did not reach the maximum fee last time. Bonds were renewed for school personnel with fund handling responsibilities. They are $50,000 for treasurer Dan Lane, $25,000 for Bodamer; $15,000 for the payroll clerk and $15,000 for the custodian of athletic and activities funds. Board member Gary A. Hardes asked whether funds would be available to deal with potholes in the junior-senior high school parking lot. Flint said the capital projects fund can be tapped for such uses. Flint said that he will recommend that the board renew the contract with Charles Cole Memorial Hospital for the services of an athletic trainer. The hourly rate is under discussion. Currently it is $25, but Flint expects that CCMH will request a slight increase. That decision could be made at the June meeting. Pennsylvania Department of Transportation District 2 will be doing the following work around McKean County through tomorrow. Sign repairs throughout the district will be performed, Route 155 bridge work in Annin Township will continue, various road patching will be performed county-wide and ditching will be done along Route 155 near Port Allegany. PORT ALLEGANY—The Western Pennsylvania Conservancy has announced that it is actively seeking public input concerning its draft Allegheny River Headwaters Conservation Plan. Thursday afternoon it received a lot of input, although attendance at its Port Allegany input session drew only three persons, all of who had heard of the event the previous day, through the Bradford Era. The input came primarily from Bill Belitskus, who heads the Allegheny Defense Project, and Port Allegany resident and conservation writer Howard Gustafson, of Trout Unlimited and the Upper Allegheny Watershed Association. 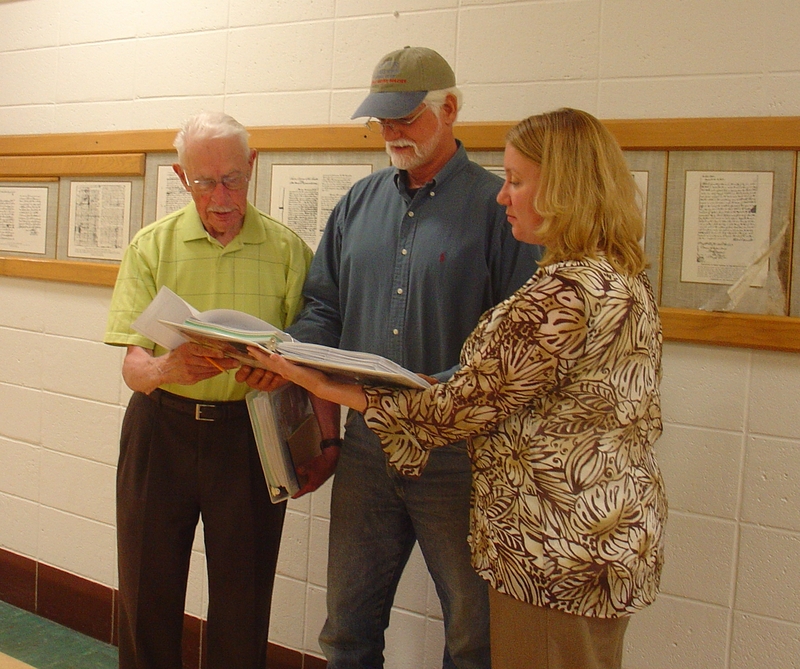 They were seeing the draft plan, hundreds of pages in length, in a hefty three-ring binder, for the first time. It was also made available on an optical disk. Presiding at the input session was Kylie Maland, conservancy watershed manager. She said that the conservancy was developing the watershed plan to present a regional perspective on watershed management. Belitskus paged through it rapidly, then gave close attention to several sections. He also asked whether a list of organizations, particularly non-governmental ones, and the Seneca Nation had been included in the groups asked to collaborate. Most of those he named had not been included, but Maland said they would be contacted. The round of public input sessions going on now will help make sure all known issues are covered. The plan covers McKean and Potter Counties and their communities. A number of included municipalities will be expected to sign off on or endorse the plan in its final form. During the public review period, the public is being asked to help prioritize the concerns relating to the watershed area, as well as the best recreational uses of its public areas. The Allegheny River watershed area examined in the plan and its underlying studies includes Oswayo, Potato and Tunungwant Creeks, major tributaries of the Allegheny. Involved municipalities and communities are asked to identify possible future projects they consider feasible and desirable. Inclusion could be a plus in seeking funding for such projects. Maland stressed that the plan is not a regulatory document, but a planning document. Belitskus spoke about various concerns of the Allegheny Defense Project concerning protection of the water quality of streams and aquifer, as well as soil. Marcellus Shale gas drilling and production operations are a major threat to water quality and public safety, Belitskus said. One concern is that radioactive materials are present in recovered brines from fracking, and that those cannot be treated effectively nor safely injected for disposal in this area. Belitskus and Gustafson noted that withdrawal of water from area streams for use in fracking has been improperly authorized and has a serious potential for harm to stream quality and aquatic life. Belitskus questioned numbers in the report used to quantify the amount of water used in fracking operations, and asserted that they are grossly inaccurate. The Department of Environmental Protection (DEP) has issued permits it has no statutory authority to issue, Belitskus said, in that the riparian landowner had the right to use of water on and under his land, and municipal authorities can develop water resources to use for municipal water users, but not for other kinds of utilization involving transferring of water outside the authority service area. Gustafson noted his concerns over the incompatibility of good forest management and shale drilling operations. Also, he is concerned about stream damage even from the construction of access roads for drilling operations. The next local public input session will be held at 5 p.m. today in the Bradford Area Public Library. Creation of the conservation plan is being funded, in part, by a grant from the Community Conservation Partnerships Program Environmental Stewardship Fund, under the administration of the Pennsylvania Department of Conservation and Natural Resources. The plan applies to 885 square miles of the watershed. High school students from Coudersport, Shinglehouse, Otto-Eldred, Austin, Galeton and Northern Potter visited CCMH to learn about a variety of clinical and non-clinical healthcare careers, education requirements, interviewing skills and future job outlook. The Heart of Cole Community Connections employee giving club presented checks for $200 each to 12 area volunteer EMS companies during an educational breakfast. 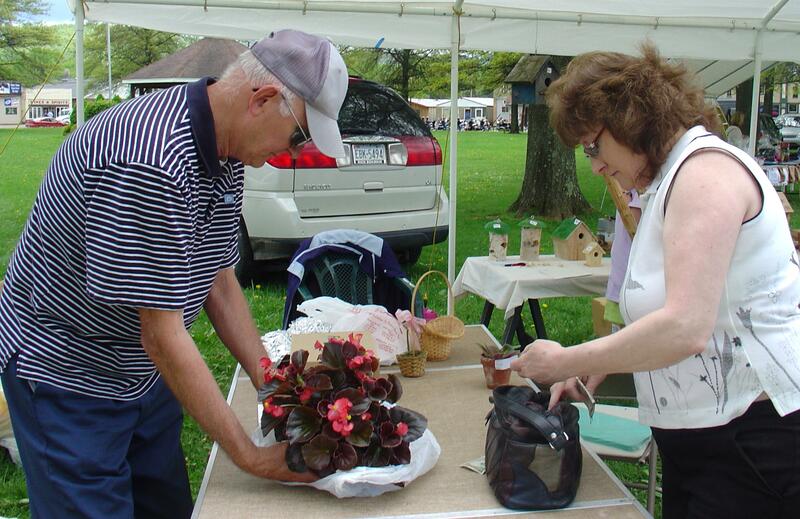 The HOC Community Connections group chooses a community project every year as a way to give back. 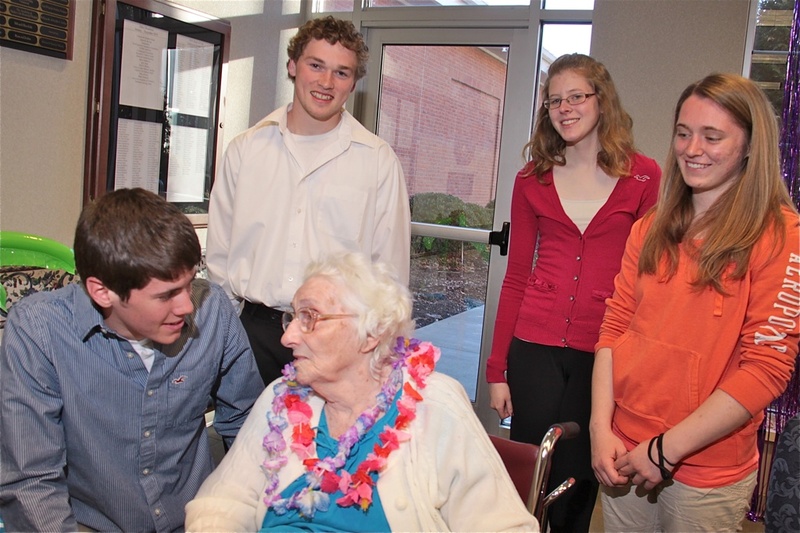 Last year, the group donated to area senior centers. During the breakfast the EMS groups also learned from hospital staff about emergency preparedness, medical command, and ventilation/CPAP. Children from Alliance Daycare visited the hospital during Hospital Week. While touring the hospital, they learned about various healthcare services and departments. Hospital Week also featured a variety of educational events for the public including presentations on medication safety, end of life/living wills, oxygen safety in the home, understanding hospital bills and falls prevention. Staff celebrated with an employee health and wellness fair and related vendors, educational sessions on falls prevention, medication, transfers, ambulation and simulation training, and an ice cream social. National Hospital Week began in 1921 and is now the nations largest health care event, as a celebration of the history, technology and dedicated professionals. 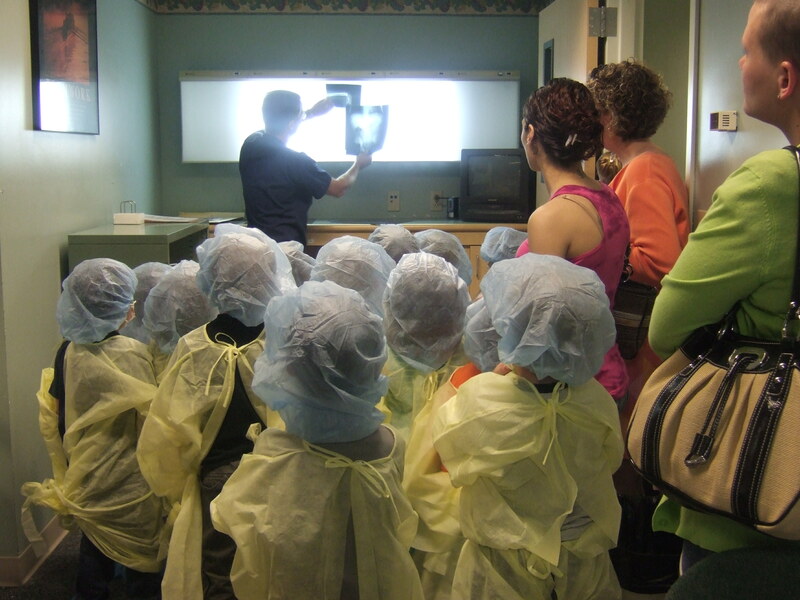 Childrens tour: Children from Alliance Daycare view an x-ray during a tour of Charles Cole. Gary Malacarne, Pharm.D., pharmacy director at CCMH, explains career options to high school students during a career fair at CCMH. From left, Kari Karpinksi, Anna Fair, and Michelle Filer talk to EMS representatives before presenting checks from the Heart of Cole Community Connections employee giving fund during an education breakfast for volunteer EMS companies. Charles Cole also recognized staff who reached milestone years of services in 2011 during Hospital Week. Brenda Baer, Merranda Baker, Mackenna Bechelli, Hillary Beichner, Jill Benjamin, April Blimline, Kara Bowers, Marilyn Bryant, Colleen Cloak, Brenda Crowell, Rose Davis, Leslie Downey, Tonya Gail, Kevin George, Tina Graham, Amy Greene, Mary Alice Gurnsey, Cynthia Hardesty, Edmond Hardesty, Carol Hartman, Eryn Haynes, Pauline Housler, Krystal Howard, Thomas Hurrle, Todd Husson, Lorrie Jandrew, Jennifer Kelly, Debra Lentz, Wendy Leonard, Emily Lynch, Leslie Miles, Judith Mottershead, Mary Newton, Amanda Paul, Edward Pitchford, Jackie Plummer-Sprow, Lisa Pratt, Colleen Ramsey, Katrina Rimel, Mandy Sillick, Susan Surh, Pamela Swanson, Eleanor Tomb, Jodi Vossler, Elaine Wagner, Kiley Walker. They were friends and neighbors, business owners and executives, rank and file and office staff and retirees, but they all performed like pro’s Saturday night when the Potter-McKean Players presented its first production since the group re-constituted itself early this year. The production had been presented two weeks earlier at the Coudersport Consistory—in a sense, its “out-of-town” opening, after which more rehearsal time worked out a few bugs. 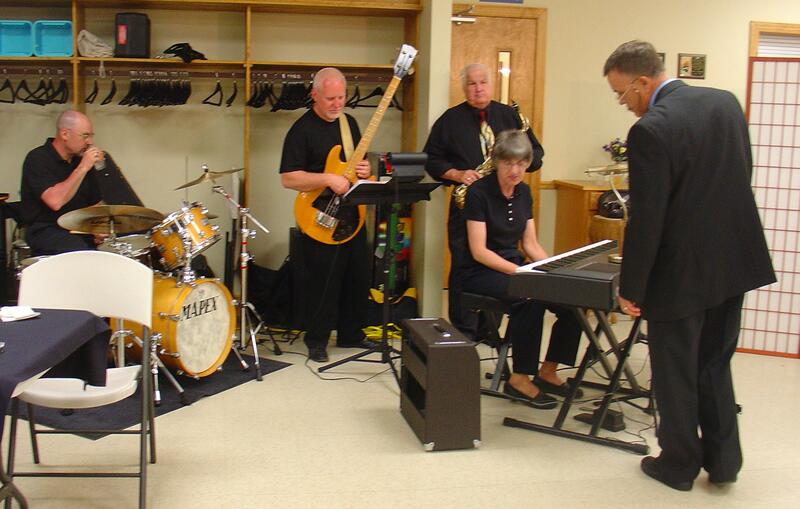 Some 70 attenders at the Port Allegany Veterans Memorial hall found the entertainment as delicious as the meal. 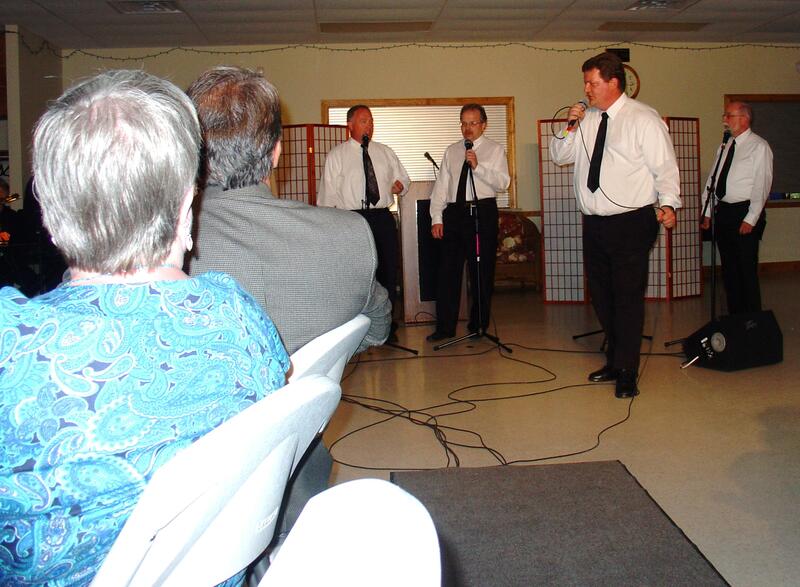 Coudersport innkeeper and impresario Paul Herzig brought back some of the local singers and best numbers from last September’s “Moments to Remember” revue, with doo-wop and pop-rock hits. 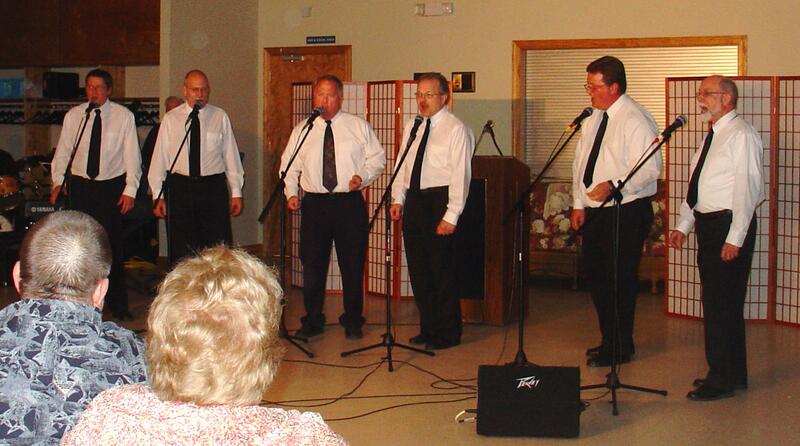 The “girl singers” performed “In the Still of the Night,” “One Fine Day,” “My Boyfriend’s Back” and “Mr. Postman. Outstanding in “Day” and “Postman” was Peggy Majot. Even though her voice was not as strong as in earlier performances, due to some lingering throat problems from a respiratory illness, Majot put her solos over with her convincing style. Paula Moses’s boyfriend did put in his reappearance, true to her boast, and he was none other than Marty Moses, local banker, menacing in leather and dark glasses. 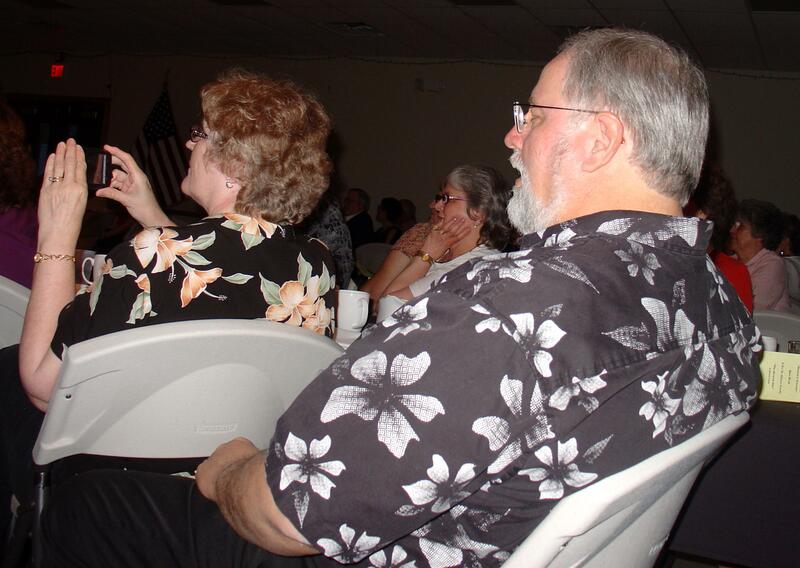 Popular local soloist Dennis Bloss explained the effects Chantilly lace, a pretty face and a pony tail have on him, with falsetto yips and expressive gestures. The theater part of the evening’s fun came in the form of a one-act mystery, “Who Killed Who,” full of broad comedy, pratfalls and sight gags. Brian Empson’s Willie Trippitt, the officious but inept detective, was comical even standing still, in a loud suit of mismatched plaids. His reference to “plain clothes service” got the expected laugh. The send-up of a country gentry murder mystery featured the necessary plot twists, star-crossed lovers, a previous fiancée, a nosy reporter, a would-be socialite and a no-nonsense medical examiner. 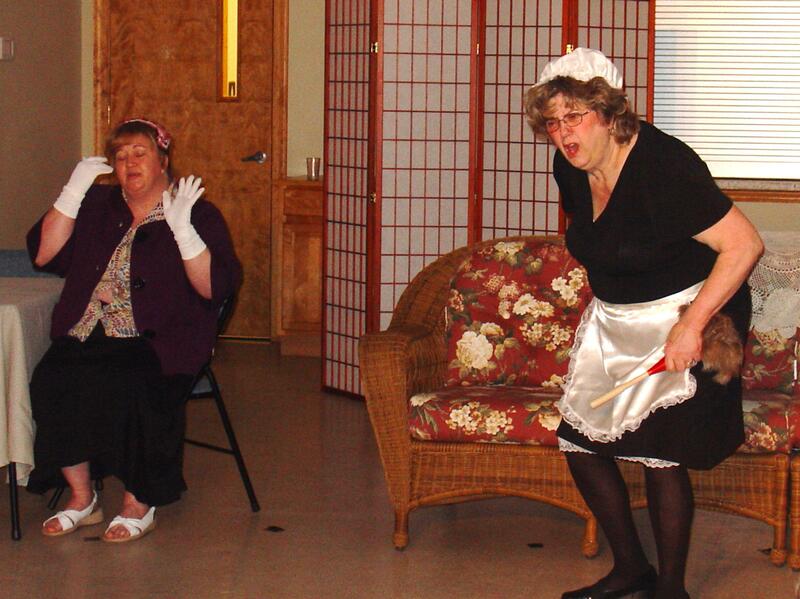 An especially uninhibited performance by retired teacher Ruth Sallade, as the snoopy but jittery housemaid, elicited hearty laughter from the audience. Jared Empson directed the play with a presentational effect in mind, knowing that an added dimension of each role was the local audience’s appreciation of the real-life persona of each actor. Herzig’s dramatic reading of “The Cremation of Sam McGee” blended irony with humor, with a reference or two to Port Allegany not found in the original. Also nicely presented was the meal, with the facility’s dining room and kitchen living up to their reputation as a good setting for events. Directors Empson and Herzig praised the acoustics of the hall, which allowed singers, actors and the four-piece orchestra to be heard clearly and without distortion. Vocalists included Julie Baker, Anna Margaret Binder, Jared Empson, Anna Fair, David Fair, Nancy Lamb, Tom Lamb, Kerrie Pessia, Sallade and Jamie Trask. The orchestra consisted of keyboardist Gloria Richardson, sax man Howard Foster, bassist Don Vought and Bryan Neff on drums. Rhonda Empson, Peter Wright, Sarah Wright, Binder, Allison Wright and David Fair rounded out the cast of the play. The proceeds will benefit local Meals on Wheels organizations. Herzig said there will be auditions soon, as the Players look toward their next production, a revue to be called “Broadway on the Allegheny,” slated for this fall. Memorial Day Ceremonies Announced - Memorial Day Services will be held Monday, May 30. The first ceremony will be held at 10 a.m. on the Brooklynside Bridge. At 11 a.m., there will be a ceremony on the Town Square. A luncheon will follow at the Veterans Memorial Building. Remember the fallen Veterans by attending the services. Veterans who are able to participate in the ceremonies are asked to call Harry Niece at 642-2819 or Joe Knell at 642-9328. 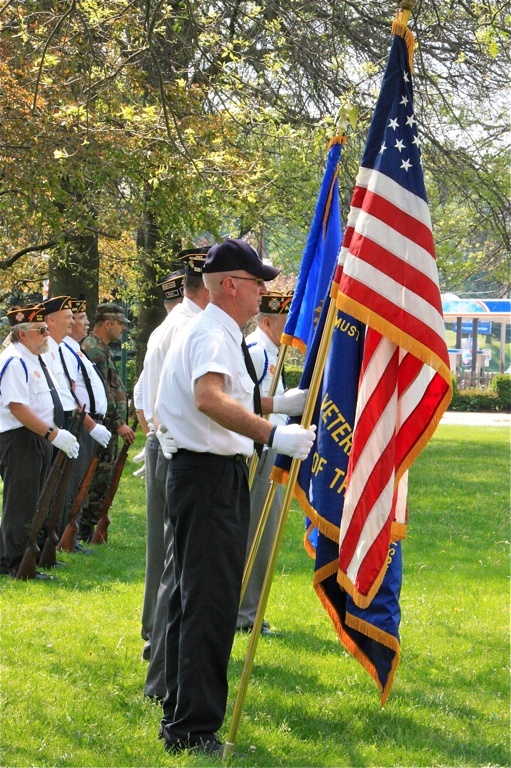 Pictured are Honor Guards from the 2010 Memorial Day Service. The new “SWAMP” teen center at 6 North Main Street will open its doors to area junior-senior high school students at 3 p.m. Thursday, June 2. There will be a dedication at 7 p.m. The public is invited to attend the opening and dedication, and see the results of the renovations. With a local group called SWAMP, for Success With Achievement, Motivation and Preparedness planning and organizing, and with in-kind and other support from the McKean County Redevelopment Authority, Rotary, Moose and other local organizations, the project has taken shape in the past several months. The original impetus came from a Girl Scout project. Plans are for the center’s summer hours to be 1-5 p.m. Monday through Thursday. There will be refreshments, door prizes and fun items for sale, along with SWAMP tee-shirts. The SWAMP acronym was chosen partly because of the Port Allegany school system’s and community’s traditional claim of being “gator” habitat. A Broadway musical revue to be performed this September is soon to be cast, according to the Potter-McKean Players. Those interested in participating in “Broadway on the Allegheny” are invited to audition at 7 p.m. Monday, June 6, at the United Methodist Church at 307 North Main Street, Port Allegany. Vocalists including soloists are being sought, as are actors for scenes from Broadway shows. An accompanist will be available. The combined Potter-McKean Players group was formed earlier this year because of the response to last fall’s “Moments to Remember” production. 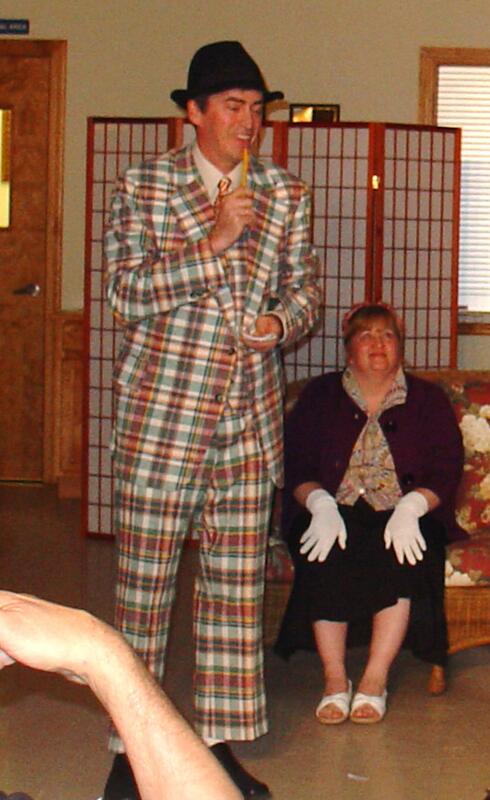 The proceeds from the upcoming production will benefit the swimming pool rehabilitation. Call Joel Anderson at 642-9900 with questions. Seneca Highlands Career and Technical Center Awards Day - Rick Baney of Austin (pictured left) and Travis Haupt of Eldred are pictured receiving keys to the vehicles they won at the Seneca Highlands Career and Technical Center Assembly held Friday at the school. Baney will be driving a '96 Chevy Beretta from Bidwell Auto and is pictured with Tom Bidwell who donated the car. Scot Miller was on hand to present Haupt with the keys to his 2001 Ford Taurus donated by Kightlinger Motors, Inc., in Coudersport. AWARDS ASSEMBLY HELD - The Annual Awards Assembly was held Friday, May 20 at the Seneca highlands Career and Technical Center located in Port Allegany. Students from Austin, Bradford, Cameron County, Coudersport, Galeton, northern Potter, Oswayo Valley, Otto-Eldred, Port Allegany and Smethport attend the Career Technical Center led by CTC Director Donald Raydo and Chief School Administrator Mary K. Colf. Recognition Awards were presented to the following: Advanced Office Practice, Rebecca Andrus, Port Allegany and Kayla Ayers, Coudersport; Automotive Mechanics, Clifton Lunn, Otto-Eldred and Andrew Marvin, Smethport; Building Construction Occupations, Justin Schultz, Port Allegany and Corry Gabersck, Coudersport; Computer Repair Technology, Shane Mullen, Port Allegany and Damian Lucas, Austin; Cosmetology, Katelynne Bosworth, Otto-Eldred and Nichole Wilson, Oswayo Valley; Culinary Arts, Codey Yurkewicz, Bradford and Brandi LaCoss, Smethport; Health Assistant, Bridget Clingan, Cameron County and Teri Bean, Oswayo Valley; Heavy Equipment Maintenance, Chad Austin, Otto-Eldred and Clayton Hurd, Northern Potter; Metalworking Occupations, Nathan Bair, and Allan Lawrence, Oswayo Valley; Networking Technology, Colton Popovich, Galeton and Jeremy Adams, Northern Potter. E&G Scholarship Award went to Mark Schweikart, Heavy Equipment from Cameron County; Northwest Savings Bank Good Citizen Award went to Bryan Pritt, Health Assistant, Port Allegany and Joe Ayers, Culinary Arts from Coudersport; Kades-Margolis Award went to Mark Schweikart, heavy Equipment from Cameron County and James McConnell from Northern Potter; Port Allegany Women's Club Award to Kimberly Roach, Health Assistant from Otto-Eldred and Brittany Fuller, Health Assistant, from Oswayo Valley; Education ASsociation Award went to Jarrod Pire, Advanced Office Practice from Oswayo Valley; Directors Award, sponsored by hamlin Bank and Gas Field Specilists, Inc. went to Nicole Andrus, Advanced Office Practice, from Port Allegany; Joe Ayers, Culinary Arts from Coudersport; Emileigh Carlson, Advanced Office Practice, from Cameron County; and Nichole Wilson, Cosmetology, from Oswayo Valley. The Abbott Welding Award went to Gavin Dynda, Metalworking Occupations from Austin; Mathematics Awards went to Andrew Teclaw, Auto Mechanics, from Port Allegany and Elizabeth Cain, Health Assistant, from Austin; Cosmetology Teacher Scholarship Award went to Amber Fischer, Cosmetology, Port Allegany; Port Allegany Rotary Service Award went to Travis Green, Heavy Equipment from Port Allegany; Brian Cary, Building Construction, from Northern Potter; DuBois Business College Award was presented to Courtney Scutt, Advanced Office Practice from Oswayo Valley; and the Rotary Outstanding Vocational Award went to Bridget Clingan, Health Assistant, Cameron County; Daniel Richner, metalworking, Port Allegany; Amber Thwing, Health Assistant from Cameron County and Cody Taylor, Culinary Arts, from Smethport. Perfect Attendance awards were presented to Allan Lawrence, Oswayo Valley; Andrew Miller, Smethport; Bryan Pritt, Port Allegany; Daniel Richner, Port Allegany and Courtney Scutt, Oswayo Valley. Student Committee Awards were presented to representatives and alternates Nicole Andrus, Karissa Neal, Kayla Ayers, Brandy Mesler, Dakota Lee, Paul Griffith, Andrew Marvin, Brian Swanson, Justin Schultz, Jaret Martin, Ricky Colon, Dylan Setzer, Ryan Orner, Jacob Wise, Martin Peterson, Damien Lucas, Shyanne McInroy, Amber Fischer, Chelsea Gehman, Katie Kelly, Sarah Brodhun, Katelyn Cramer, Kory Majot, Joe Ayers, Bridget Clingan, Stacey Strait, James McConnell, Teri Bean, Mark Schweikart, Mark Rees, Andrew Bean, Joe Boden, Nathan Bair, Tyler Carlson, Allan Lawrence, Todd Morrison, Cole Alionis, Colton Popovish, Jeremy Adamn, and Serena Unser. Officer Awards went to A.M. students - President Sarah Brodhun, Vice-President Mark Schweikart, Secretary Amber Fischer, and Treasurer Nicole Andrus; and P.M. students President Dylan Setzer, Vice-President Jeremy Adams, Secretary Chelsea Gehman, and Treasurer Katie Kelly. Student of the Month Awards went to Rebecca Andrus and Damian Lucas in September; Chad Austin and Casey Shonts in October; Stacey Strait and Kayla Ayers in November; Cole Afionis and Todd Morrison in December; Nicole Andrus and Spencer Easton in January; Katelynne Bosworth and Allan Lawrence in February; Emileigh Carlson and Joseph Ayers in March and Mark Schweikart and Nichole Wilson in April. 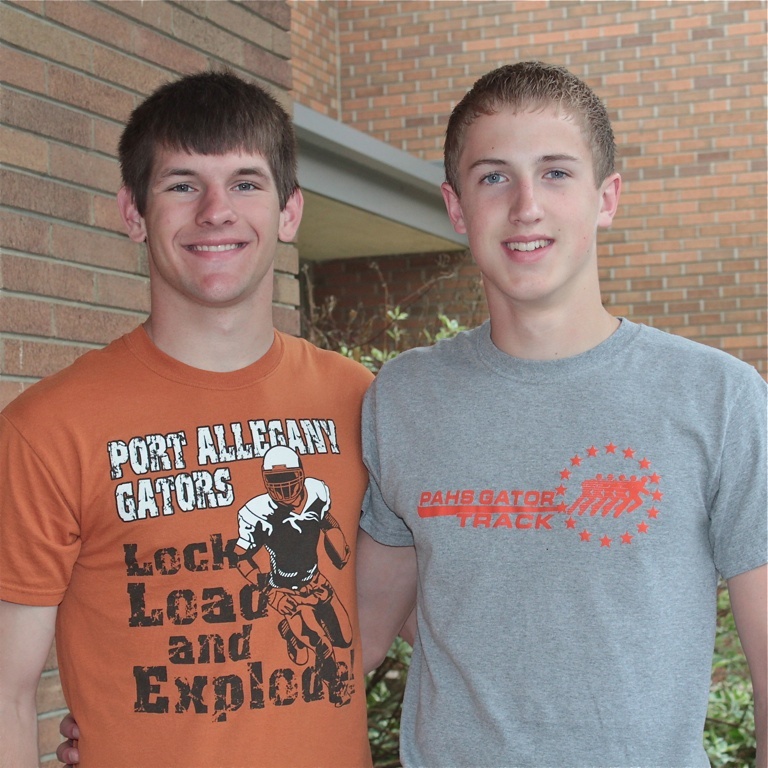 Selected as Students of the Year were Chad Austin and Todd Morrison. They received $100 Savings Bonds from Hermit Tax Inc., William Gummo and Kades-Margolis, Scott Newton. Taking the Grand Prizes, jackets from Larry's Sports Center, were Allan Lawrence, for Attendance; James McConnell, for Most Improved; and Rebecca Andrus, for Highest GPA. Winners of the cars were Travis Haupt from Otto-Eldred and Rick Baney from Austin. Haupt selected the Ford Taurus donated by Kightlinger Motors. Baney received the Beretta donated by Bidwells. Captstone Education Program Participants for 2010 - 2011 were Dillon McLeod, Cox Machining; Benjamin Simms, Cox Machining; Joe Ayers, Frosty Hollow B&B; Kayla Ayers, GFS, Inc.; Dalton Burdick, Moon's Farm Yard; Brenton Tubbs, E&G Auto Plus; Brandy Mesler, GFS, Inc.; Todd Bigley, Cox Machining; Daniel Richner, Cox Machining; Nicole Andrus, PC Credit Union; and Tieler Raymo, Duffy, Inc.